When a fire sprinkler system’s demand requires a fire pump system, you want to know that the heart of your life safety system has been thoroughly engineered, constructed and tested from start to finish. Our skid mounted fire pump packages are more rugged and durable than most in the industry. We don’t cut corners on the structural steel bases, stands and supports, nor do we shy away from customizing each unit to fit the varying requirements that each project brings with it. 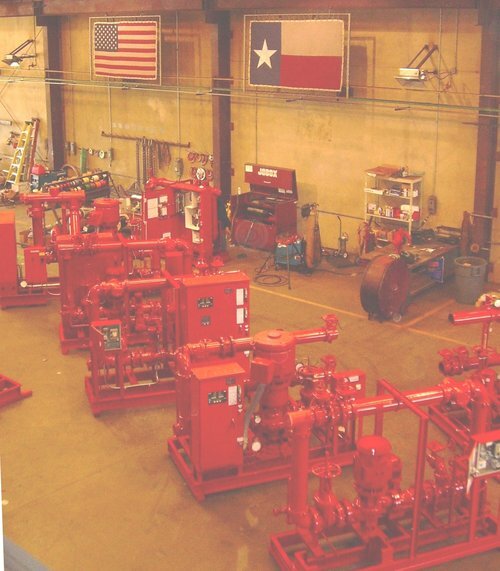 The decades of combined experience of our sales staff, coupled with our in-house engineering team and Third-Party Certification of each system by ETL ensures the reliability and integrity of your fire pump system. LAAMB Heating & Air, Inc. has been well served by Geo-Systems USA. I can’t imagine calling anyone else. They are the most professional and courteous supply company of Geo-Thermal parts, pipe, tools, etc. I recommend them to you and any other company in need of Geo-Thermal supplies.